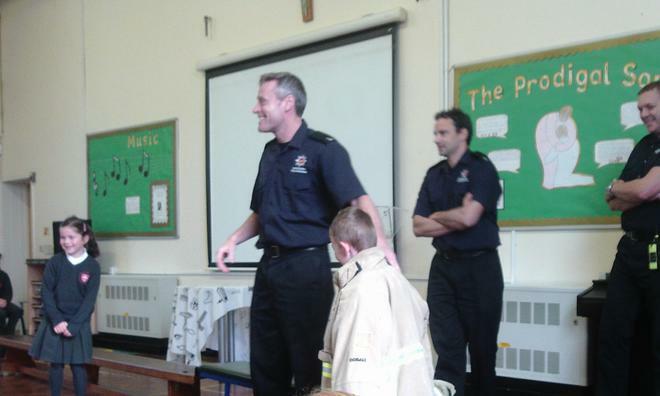 The Children this morning took part in an Assembly given by the Firefighters from White Watch, St Albans. 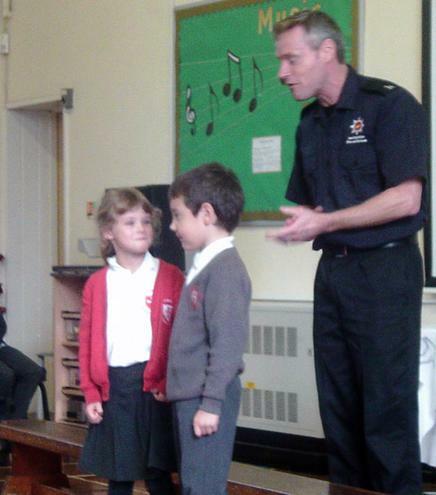 The children were taught about how to stay safe this Halloween and Bonfire Night. Please ask your child to share with you what they were shown at this assembly especially STOP, DROP and ROLL which they will happily demonstrate to you. Thank you to White Watch for giving us your time this morning. If you do not have a smoke alarm at home please can you let the School Office know and St Albans Fire Service can arrange to fit one free of charge.